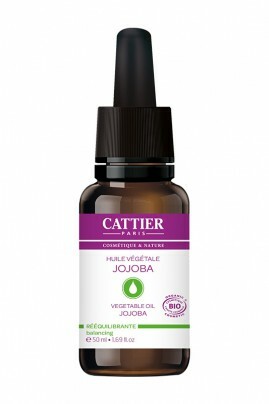 Nourishing and protective, organic jojoba vegetable keeps the skin hydrated and helps control sebum production. It firms, revitalises and prevents skin ageing. Ideal for oily and/or mature skin and for strengthens hair. Its protective and nourishing virtues makes her an excellent care for dry skin and baby skin. Its very soft and creamy texture make a very soft and velvety skin.